Candane āga akhūṭa / Bāriyā, Sureśa. Mumbaī : Lokapriya Prakāśana,  From the University of Chicago Library. 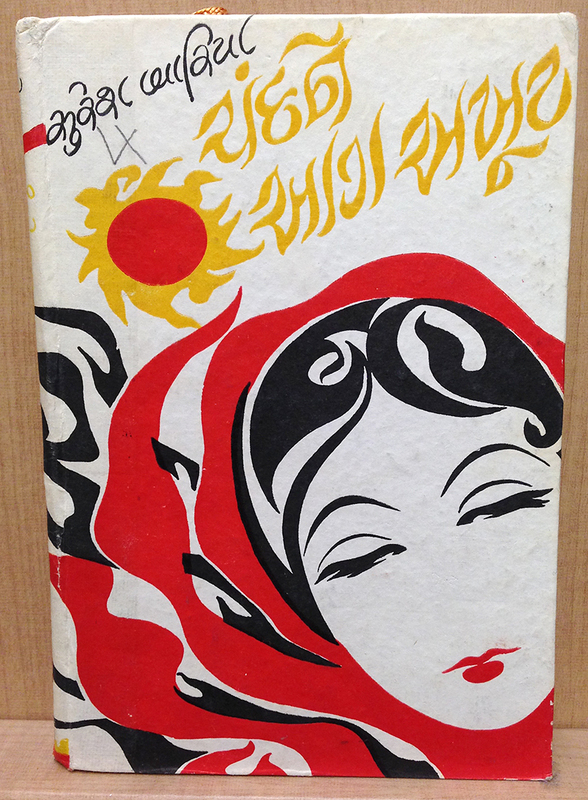 ચંદને આગ અખૂટ Candne Aag Akhut by સુરેશ બારીયા Suresh Bariya. The undulating, flame-like letters are very fitting, since Aag means fire. Really nice lettering style. I also enjoy seeing the informal, loopy handwriting style of the author’s name at the top.